 Dundee’s Al-Maktoum College of Higher Education has finalised its programme for the special three-day symposium it’s hosting this month titled, “Building Bridges”. Being staged in conjunction with Scottish Interfaith Week, it is aimed at building bridges of friendship and trust while expanding interfaith trust. It takes place from November 17 – 19, 2016. The programme will feature lectures, workshops and visits to local places of worship and an interfaith film. Professor Hugh Goddard, Director of the HRH Prince Alwaleed bin Talal Centre for the Study of Islam in the Contemporary World at The University of Edinburgh, will open the symposium on Thursday, the 17th. His Open Lecture will examine “Abrahamic Religions Today” and the way these indicate common ground, as well as a common point of origin between Judaism, Christianity, and Islam. This talk will investigate the origins of the term and the reasons for its increasing popularity. Mike Haines, whose aid worker brother, David, was beheaded by ISIS, is the closing invited speaker. As founder of The Forgiveness Project, he has travelled the world, spreading a message of unity, tolerance and understanding since his brother’s death after being held captive in Syria for 18 months. Fighting The Hatred is the topic of his lecture. The programme also includes, Owen May and Georgia May, of the Rose Castle Foundation, which was established to promote understanding and empathy between groups and individuals, be they from the religious or secular world. The couple will represent her mother, Sara Snyder, special advisor on reconciliation to the Archbishop of Canterbury, on a session titled, Scriptural Reasoning. The Principal and Vice Chancellor of the College, Dr Hossein Godazgar, said he believed the event would engage people working in the public, private and third sectors, as well as leading academics, in the on-going effort to promote religious freedom, pluralism and shared understanding in the 21st century. “This symposium is a natural extension in many ways of the College’s core mission to establish a bridge between Muslim communities and societies, and non-Muslim communities and countries,” said Dr Godazgar. Dr Maureen Sier, Director of Interfaith Scotland, said: “Scottish Interfaith Week will see over 70 events across Scotland which will bring together people of all faiths and none. “This year’s theme ‘religion and the media’ will inspire lots of interesting conversations about the ever increasing role of the media and the positive and negative impact on people’s lives here in Scotland and across the world. Speakers will discuss Abrahamic religions; Muslim-Jewish relations; Muslims in Britain; loving strangers from Islamic, Christian and Jewish perspectives, as well as preventing extremism. They include Mr Fadel Soliman, who is an international speaker, orator, film maker and presenter of Islam who is director and founder of the Bridges Foundation with the aim of connecting people from different backgrounds, especially bridging the gap between Muslims and non-Muslims after 9/11. Joining him on the programme are Dr Haifaa Jawad, Director of the Centre for Islamic and Middle Eastern Studies at the University of Birmingham and Mohammed Ali Amla, founder of Global Village and Christian Muslim Encounters who is an expert in the areas of Christian-Muslim relations and Islamophobia. Mr Dirk Hartwig, a distinguished researcher at the Corpus Coranicum in Berlin and the Centre for Islamic Theology, Münster, Germany will head a workshop focusing on Islam and Judaism. Delegates will visit local places of worship during their visit. 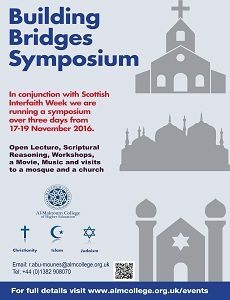 The symposium starts on Thursday evening – November 17 – with an Open Lecture by Professor Hugh Goddard from The University of Edinburgh on the topic, “Abrahamic Religions Today”. On Friday, November 18, the programme begins with a scriptural reasoning session, a visit to a local mosque and concludes with an Interfaith Week film, Le Grand Voyage by Ismaël Ferroukhi. The final day – November 19 – will expand on the topics covered with more speakers and a visit to a local church. Live cultural music will round off the three-day event. Tickets for this event are FREE, please click here. The programme was excellent and I really liked Dundee: it felt like home. The ATP was very interesting and helped us learn about other cultures, and showed us that as females we have choices. Everything you need to know about studying in the UK. Discover Diversity in Dundee. Follow our Instagram journey.